The Halloween franchise is back! 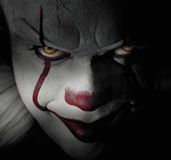 Not only is the next movie heading towards a massive opening weekend at the box office, but the movie itself is fantastic. 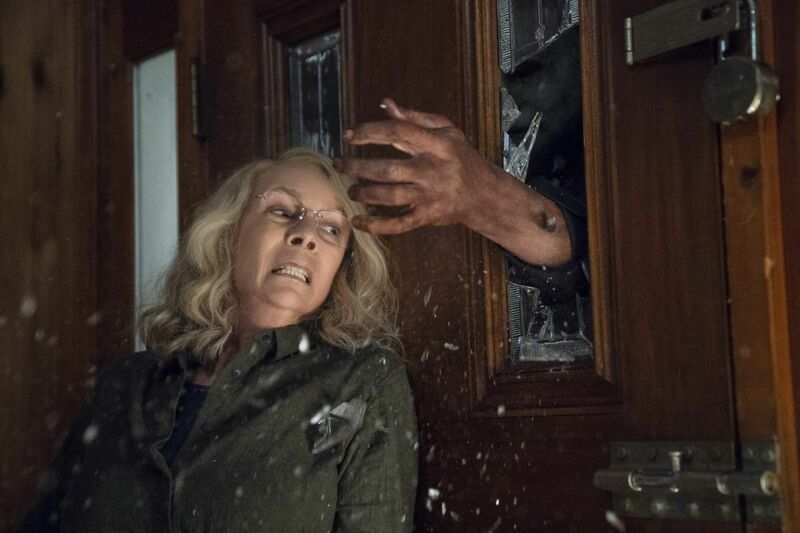 You can check out my full review right here, but we’re talking about a new Halloween movie that’s loaded with respect for John Carpenter‘s 1978 original that also takes Laurie Strode’s (Jamie Lee Curtis) story a major step forward. This new installment picks up 40 years after the events of the original, with Laurie still failing to cope with the effects of Michael Myers’ killing spree. She’s unhinged, on edge and armed to the teeth, hoping that Michael will break out of the facility he’s being held in so that she can finally get the chance to kill him. This behavior has also had a major effect on her family. Her daughter (Judy Greer) resents her and now her granddaughter (Andi Matichak) can’t figure out how to mend the relationship and bring the family together. 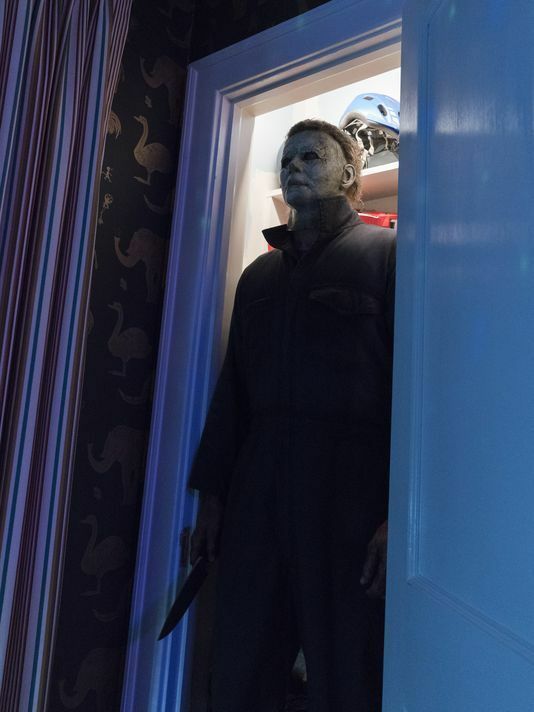 With Halloween hitting theaters on October 19th, I was lucky enough to get the chance to sit down with director David Gordon Green to run through a lengthy list of burning questions that included broader questions about themes and story structure, to some small, standout details – one of which Green hadn’t even noticed himself! You can read about all of that in the non-spoiler interview below, and be sure to keep an eye out for the spoiler portion of our interview coming your way after the movie’s release. DAVID GORDON GREEN: I see that you’re recording this on the same recorder that our podcasters in the movie are using. I noticed that! When did you come up with the idea to incorporate the podcast element? It really does set the film up in a way that gets all the necessary information across for newcomers, but also feels like a natural way to convey some exposition. DAVID GORDON GREEN: Yeah, it’s interesting, until about a week before we started filming it, they were documentarians and they had cameras, and then we started looking at prop cameras that they would be using for their documentary footage, and I started getting really afraid that that was going to date the film, that whatever camera they were gonna use was going to be obsolete in three years and people are gonna look at this movie and say, ‘Oh, that was the 2018 movie.’ It’s dated anyway by our themes, but I thought that I didn’t want that aesthetic so we quickly scrambled and made a few adjustments and they became podcasters. 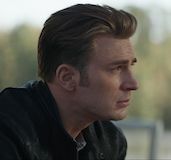 But it was our intention, how do we get people up to speed that may be really familiar with the franchise, and maybe don’t know anything, but make sure it’s a movie that anyone can go see regardless of their prior information? One of the biggest questions I had walking out of the movie is, what happened between then and now for Laurie? I look at the state she’s in when the movie starts, but then you mention that she’s had two marriages. I was wondering, have you figured out what headspace she was in when she fell in love? DAVID GORDON GREEN: Yeah, I don’t think she did fall in love. And actually, I think she was married twice and neither of them are Karen’s father. I think she never knew who Karen’s father was. I think it was an encounter in a bathroom at a bar or something, and she’s made desperate decisions trying to find herself and find her strength. There’s a moment at the end of the original Halloween where she’s talking to Tommy and Lindsey and she says, ‘Do as I say,’ as she’s commanding them to go across the street and get help and run for safety. I wanted us to meet, as our audience in 2018, to meet the ‘do as I say’ Laurie, the Laurie that had found that command and that authority and moved beyond the innocent schoolgirl, the romantic longing for Ben Tramer, and looking to a new life of empowerment. But not without certain moments of vulnerability, so can you tell me about placing those more vulnerable moments alongside this strong, powerful Laurie? DAVID GORDON GREEN: That’s a good question, and in how far we go with those because there’s a version of some of those moments where she runs out into traffic. There’s a version of those moments where she stands still as a statue and takes a deep breath and gets control. We found in production the moment where she connected to her granddaughter in this moment of vulnerability where she thought she could conclude her story with Michael if she just – I’m trying not to spoil the movie, too – but if she attended and witnessed his transfer and had a moment, an opportunity there, does she go out and try to kill him on the spot? Does she just say goodbye and resolve her own internal issues? Or how does she relieve herself of the 40 years of anxiety in witnessing this transfer? And that doesn’t go as smoothly as she had anticipated and does show you the vulnerability, the cracks in the armor that she’s capable of. DAVID GORDON GREEN: If I really like the person, I don’t want to see it. If I find them questionable, then they’re out. [Laughs] Honestly, it was the connection I had with an audience. If it’s a young person that I think exudes warmth, I want it to be a sound effect and a quick exit; I don’t want to linger on it. If it’s somebody that I think is a little dastardly and I’m suspect of their intentions, let’s watch it hurt a little more. [Laughs] I can think of a couple that might not fall into those categories. A little bit of a random question here because the conversation really stuck out to me – the young boy in the car with his father and bringing up his hopes to dance rather than to hunt with his father. I’m curious, where did that come from? DAVID GORDON GREEN: It came from that kid. It was not in the script. He was a dancer and he’d never acted before, and I just told him to talk to this guy like he was talking to his dad. It comes through like that very, very well. DAVID GORDON GREEN: Did you notice the song playing on the radio? It’s “I Wish I Had You All Alone,” that Laurie’s singing in the first one. We did a rendition of that song because it’s not a legit song, so we made it up and played that to accompany that relationship between father and son. I loved that sequence. Another sequence that I really loved is the Julian and Vicky sequence. 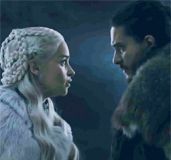 What was it like shooting the conversation between the two of them? A lot of this movie has great performances; that scene in particular feels like an insanely natural back and forth. DAVID GORDON GREEN: He’s from New Orleans and just came to an audition and was solid gold. Where we were holding auditions, there was a closet and when I was really fond of what the kid had to offer I said, ‘Now go see if there’s a monster in that closet. He just looks at me, he’s like, ‘Nah, I’m done.’ Jibrail [Nantambu], yeah, he was amazing. My job as the director is to find talented people and let them loose in front of a camera and capture it. 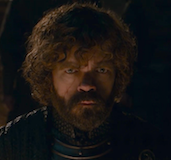 So there’s a degree of engineering in terms of the script, and I’m very proud of what we did with the writing, but the moments, particularly the comedic moments that I think land, people would be surprised at how much of that was improv just for the talent in front of the camera. 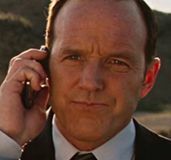 We also know that this movie does retcon a significant amount of the franchise, so of all the franchise lore that you had to cut out from the other films, was there anything in particular that was really tough to let go of? DAVID GORDON GREEN: I didn’t struggle with any of it. 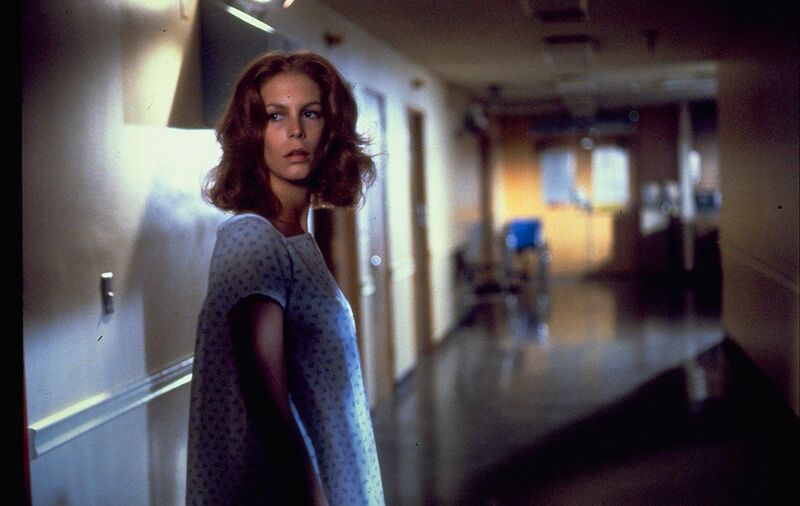 I really admire Halloween II so I hung onto that for a while when [Danny] McBride was strongly opinionated to lose it. It took a little coming around just because of my nostalgic affection for that movie as a whole and the fact that [John] Carpenter was involved as a writer on it, but then once we let loose of it there was no looking back. It felt like the right decision to make our film about the essence of evil rather than any sort of justified personal journey. That’s an interesting thing you kind of hint at in the movie. We have a couple conversations where we wonder what drives Michael, in addition to the effect that he has had on Laurie and how he’s changed her; but there’s one conversation in particular that I recall where they’re posing the question and then the conversation is stopped short of ever giving an answer. Just as someone who has kind of lived with Michael for a little while now, do you have any personal opinions on that? What is driving him? What is his motivation? DAVID GORDON GREEN: I actually don’t. 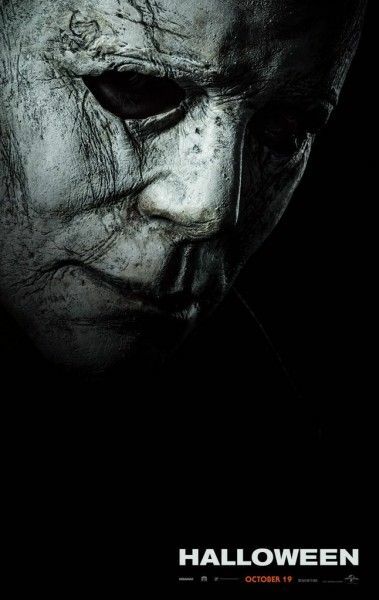 I think what works about Michael Myers – and people would argue with me about this – I think what works about him as a villain is that we project whatever we want onto him. He’s a blank slate of evil. He doesn’t come with the characteristics of so many memorable movie villains. Even Hannibal Lecter, he leaps off the screen with his characterizations and the performance is indelible, but with Michael, he gives you nothing and the less we know the better. He’s Bruce the shark in Jaws. And I think the more you know about him, the less afraid. There was always a joke when we’d see the actor playing Michael go through the line at lunch. You always picture Michael Myers in Smith’s Grove and he’s going through the buffet, he’s got his lunch tray and he’s making choices about what he wants to eat, and the absurdity of that, or how he learned to drive a car in the original film. So many things that we wonder about him. And then you know he’s got this weird wit and he does this performance art where he takes whatever, the Judith Myers headstone and puts it in the bed, or puts a sheet over his head and wears glasses. Trying to wonder about him is a lot more interesting to me than defining the wonderment. Very random question, but this is the kind of thing that catches my eye; who’s dog is on the refrigerator in their house? DAVID GORDON GREEN: They don’t really have a family dog, and I have no idea even what you’re talking about. I’ve been focused on so many other things, I didn’t ever look at the dog on the refrigerator. The weird thing is, I think there’s two different dogs on that fridge. DAVID GORDON GREEN: Okay. Whoa, you are a dog person. Well, you should be really happy; we did edit out a scene of a dog strung up. DAVID GORDON GREEN: Michael took care of a dog in one cut of the movie, but we lost it. Because of people like me? DAVID GORDON GREEN: No. It was a pacing thing. There’s a few really interesting scenes there. We had kind of a shout to Psycho’s shower scene. We had a few scenes that were cool in their own right, but just didn’t work with the pacing of the movie. And so his first presence, even before his first human kill in the first cut of the movie, which was way too long and had pacing problems – we had to try to massage and figure that out – it was actually a pretty interesting scene of Allison on a jog and sees this dog hung upside down in a tree. Halloween opens in theaters on October 19th.